Braissant, O. et al., 2015. Isothermal microcalorimetry accurately detects bacteria, tumorous microtissues, and parasitic worms in a label-free well-plate assay. Biotechnology Journal, 10(3), pp.460–468. Flores, D. et al., 2016. A novel isothermal microcalorimetry tool to assess drug effects on Ancylostoma ceylanicum and Necator americanus. Applied Microbiology and Biotechnology, 100(2), pp.837–846. Astasov-Frauenhoffer, M. et al., 2017. Exopolysaccharides regulate calcium flow in cariogenic biofilms. PLoS ONE, 12(10), pp.1–14. Wads, I. et al., 2017. 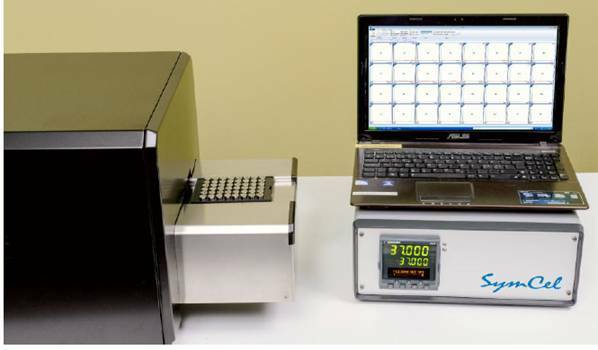 A well-plate format isothermal multi-channel microcalorimeter for monitoring the activity of living cells and tissues. Thermochimica Acta, 652, pp.141–149. Kriszt, R. et al., 2017. Optical visualisation of thermogenesis in stimulated single-cell brown adipocytes. Scientific Reports, 7(1), pp.1–14.